French energy major Total is consolidating its position as a key player in electric mobility by launching an innovative line of fluids for electric and hybrid vehicles. These products were specially developed to meet the cooling and lubrication needs of the various components of these new types of engines and to ensure that they remain in peak condition throughout their lifetime. 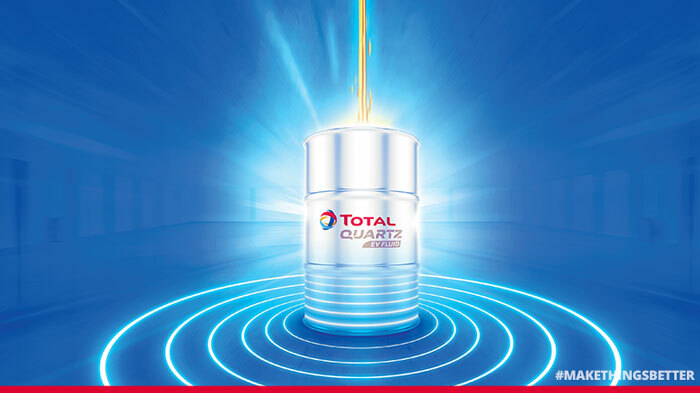 Two new product lines are now available to automakers: Total Quartz EV Fluid, for light vehicles, and Total Rubia EV Fluid, for industrial & utility vehicles and electric buses. “Through extensive research efforts, we are proud to have developed products that align with the new needs of electric mobility,” says Philippe Charleux, senior vice president, Lubricants and Specialities, Total. a solution for the temperature constraints specific to electric models: rapid calorific evacuation during major accelerations or fast charges, thermal management for batteries, etc. conventional lubrication services for transmissions, to protect their mechanical components, maintain optimal friction properties and ensure vehicles efficiency over time.